Art Mollen, DO, is a practicing osteopathic physician and the President and Founder of The Mollen Clinic. Dr. Mollen is a nationally renowned health and fitness expert. After graduating from the Philadelphia College of Osteopathic Medicine in 1970, he served in the U.S. Air Force as Chief of Allergy & Immunology. His medical practice, The Mollen Clinic, emphasizes the benefits of preventive medicine. Dr. Mollen has always been a proponent of exercise and diet as the primary treatment modality for many diseases, including hypertension, heart disease, high cholesterol, arthritis and depression. Through the use of exercise and diet, Dr. Mollen attempts to reduce the dosages of prescription medications that patients may be taking. 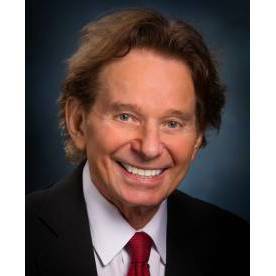 He has authored several best-selling books devoted to nutrition and fitness: Run for Your Life (1978), The Mollen Method (1986), Dr. Mollen’s Anti-Aging Diet (1992) and Dr. Mollen’s Anti-Aging Program (2005). He has made appearances on The Larry King Show, Good Morning America, and Oprah. He appears regularly on KTVK Channel 3 in Phoenix. A marathon runner and triathlete, he is Founder of the 3TV Phoenix 10K & Half Marathon. Presently, Dr. Mollen is a member of the Arizona Governor’s Council on Health, Physical Fitness & Sports.